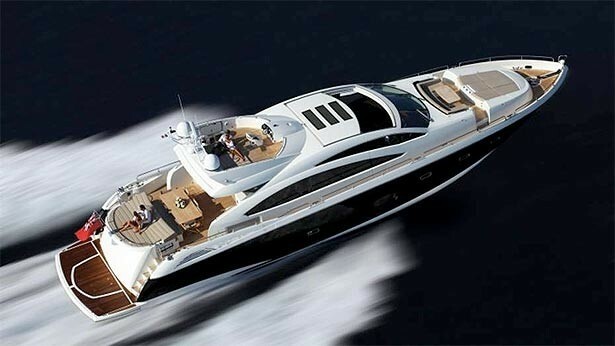 Luxury motor yacht SKYFALL was designed by Don Shead and built by well-established Sunseeker in 2009. 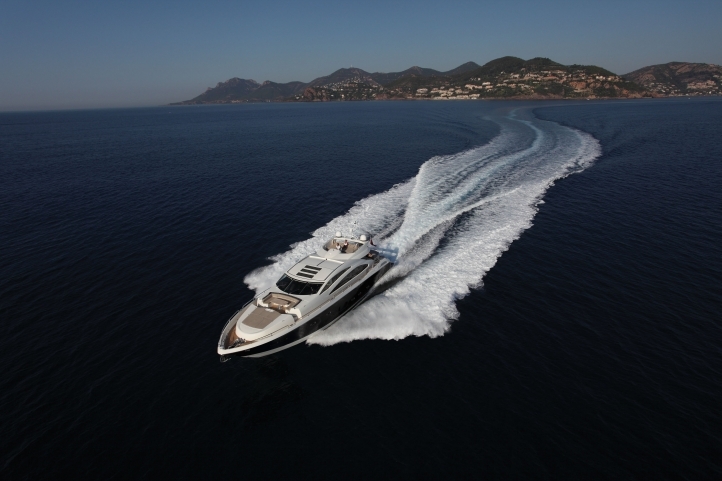 The yacht sports a sleek dark hull measuring 26.4m (86.9ft) with a stunning white superstructure. 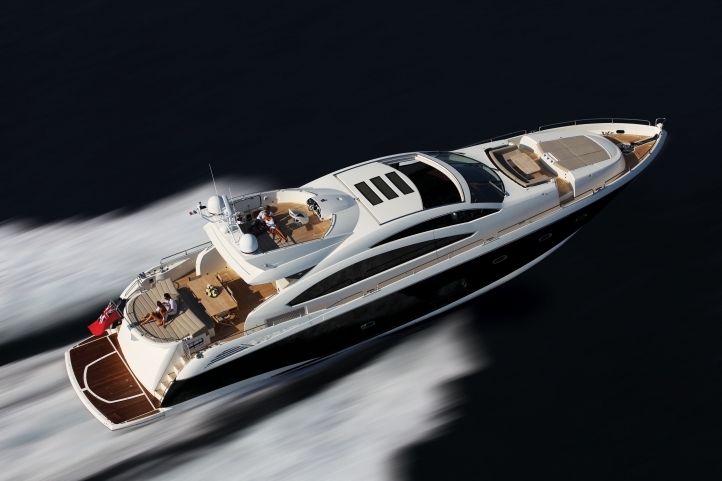 Powered by twin MTU 2400HP engines, she is capable of easily cruising at 28 knots and reaching top speeds of 37 knots, ideal for up to 8 guests wishing to explore the beautiful Western Mediterranean in ultimate style and elegance. 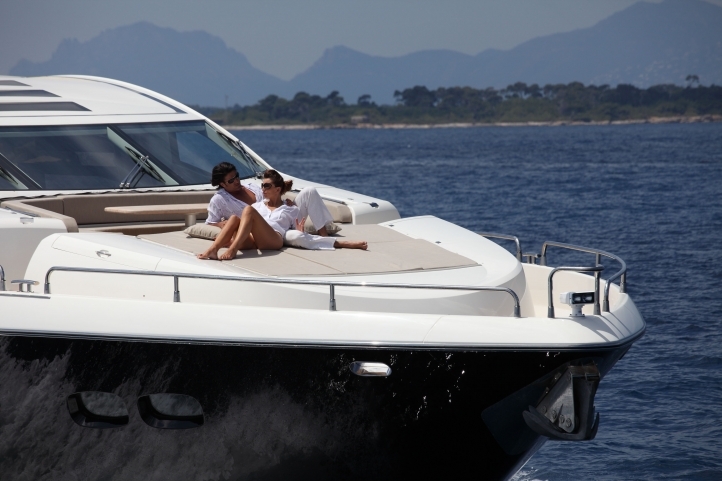 The Sunseeker Predator 84 SKYFALL offers versatile living areas both indoors and out, the feel of a larger yacht is apparent in the brilliant use of space. 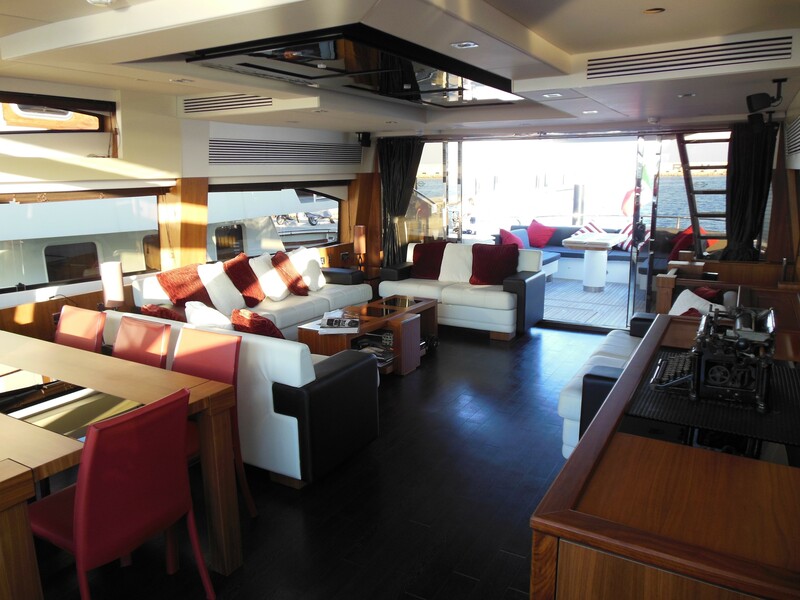 The salon and dining are an open plan with the lounge area aft, contemporary chic furnishings, modern amenities and high quality finishes all come together seamlessly to create a relaxing atmosphere. 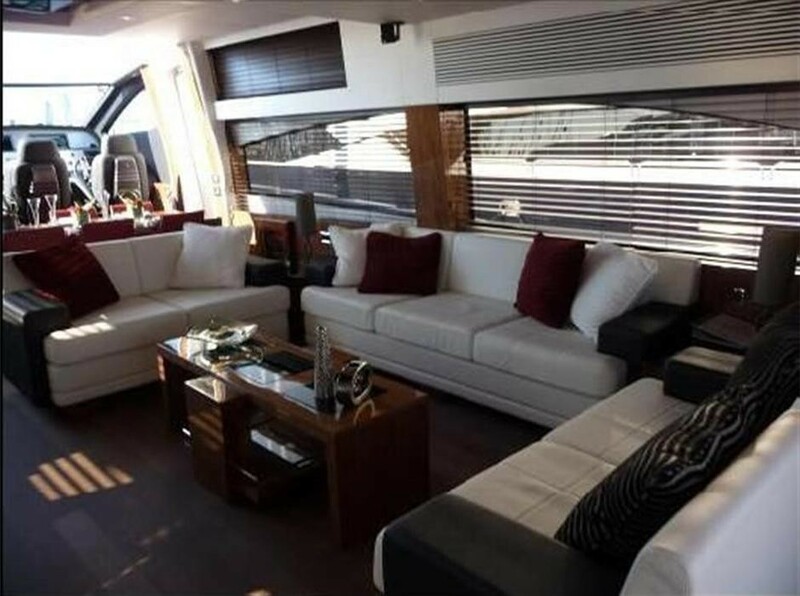 Aft of the salon, wide sliding glass doors open onto the aft deck, forward of the dining area, a retractable roof reveals the open sky, combining indoor and outdoor living as one. 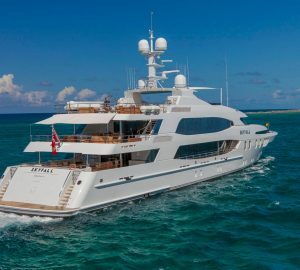 Charter yacht SKYFALL offers a large aft deck with alfresco dining option, wet bar, BBQ area, and massive sunpad. 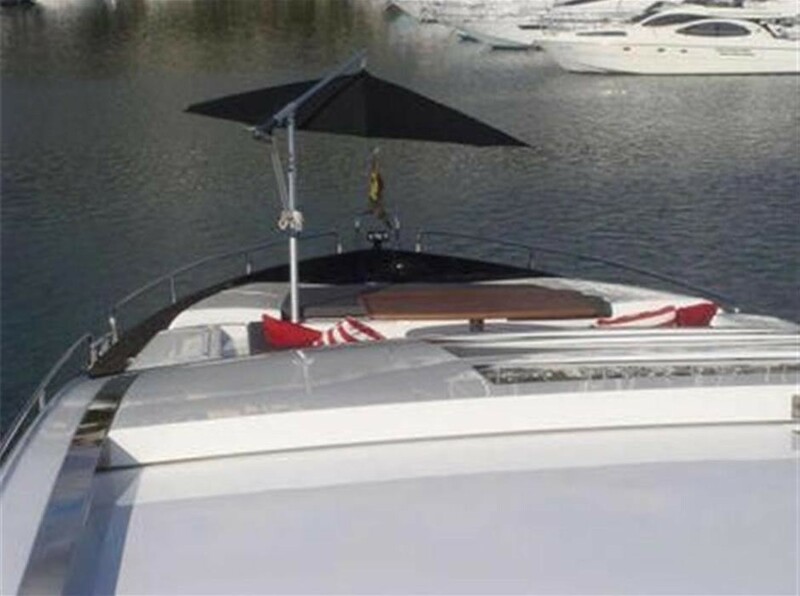 Access to the extended swim platform on the transom can be easily achieved from port and starboard steps. 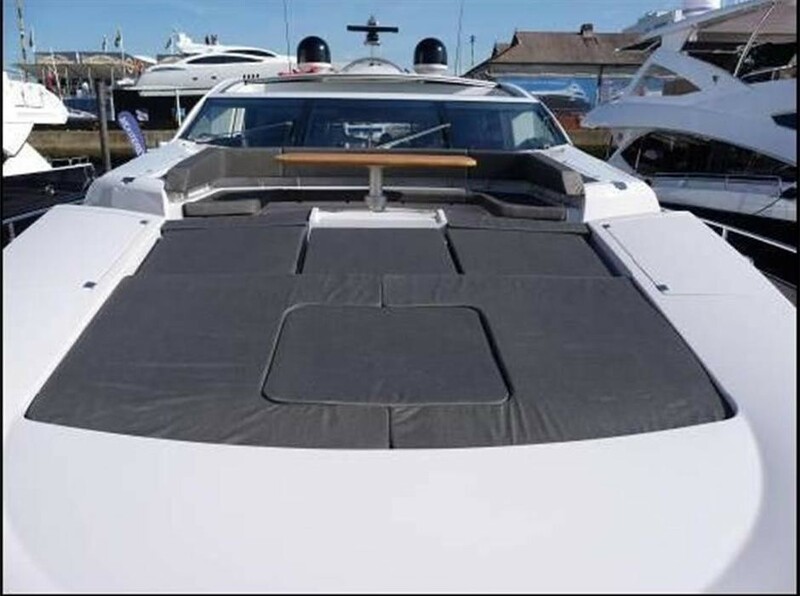 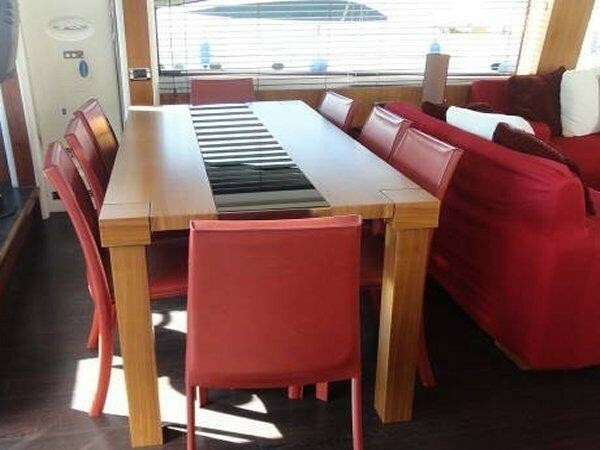 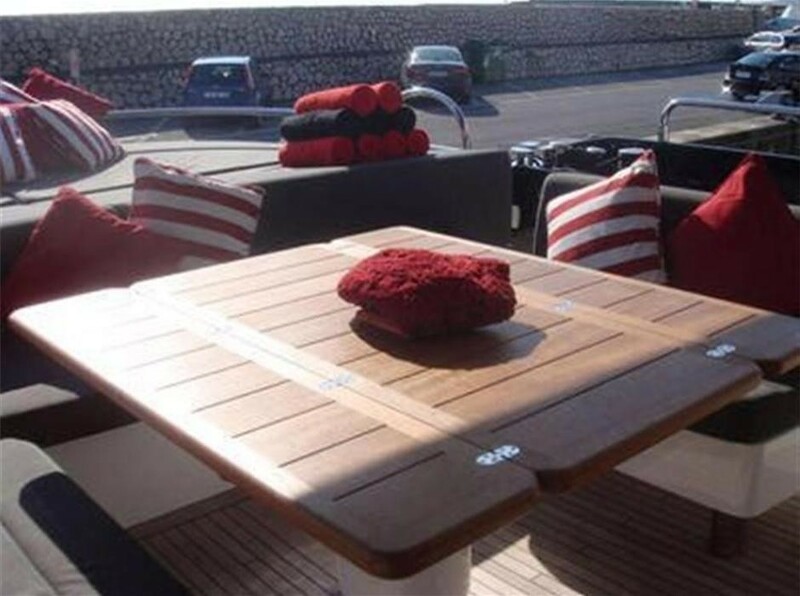 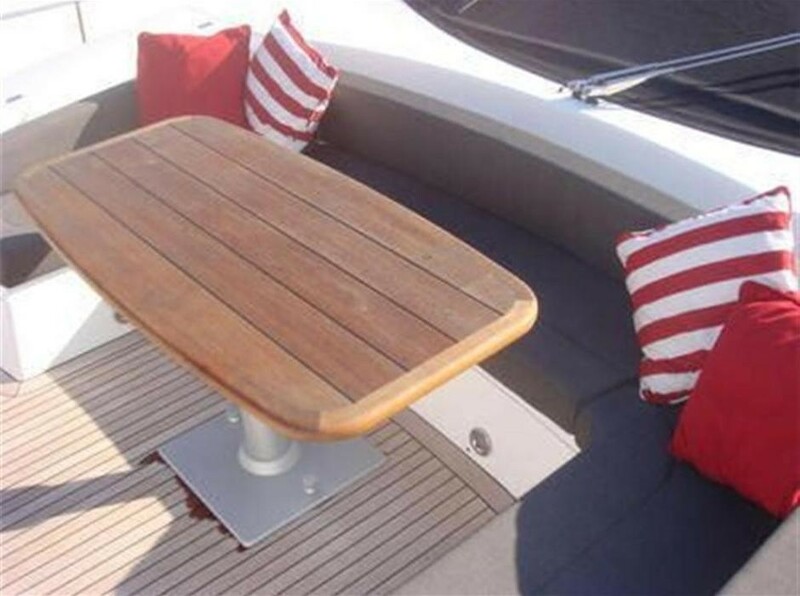 A further alfresco dining option and large sunpad are on the foredeck. 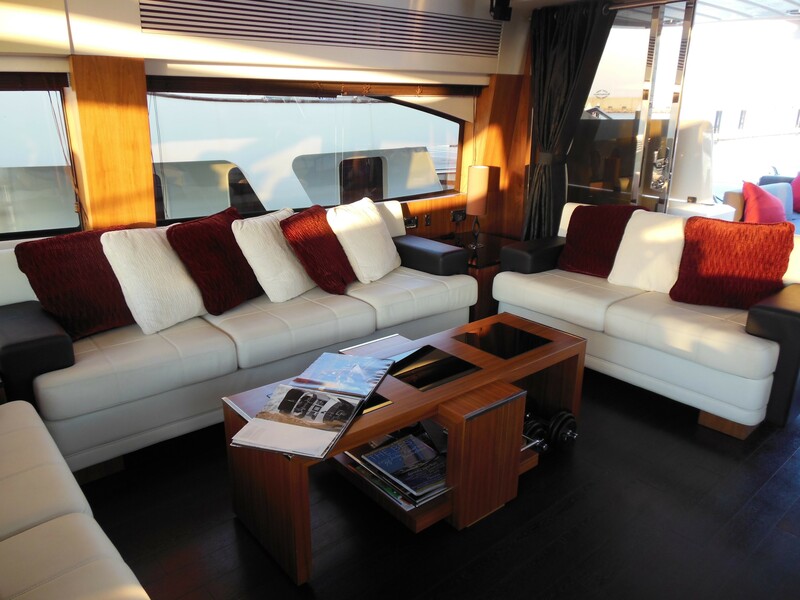 Above the main deck, the flybridge is the perfect area to experience the thrill of M/Y SKYFALL’S power and agility. 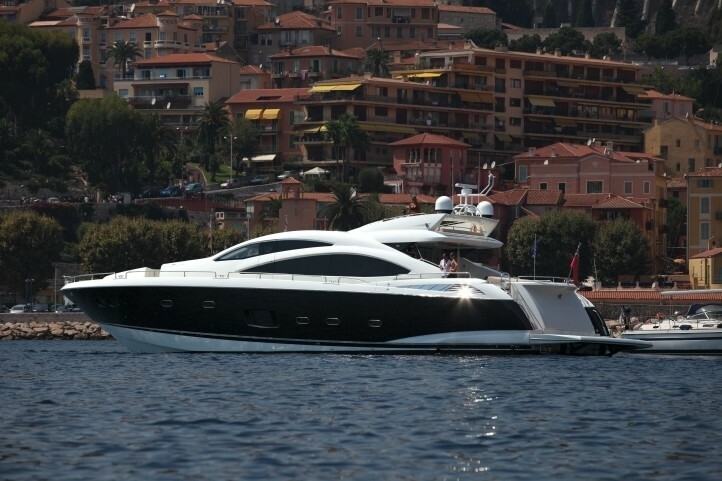 Motor yacht SKYFALL has a beam of 6.3m (20.8ft) and a draft of 2.1m (7ft). 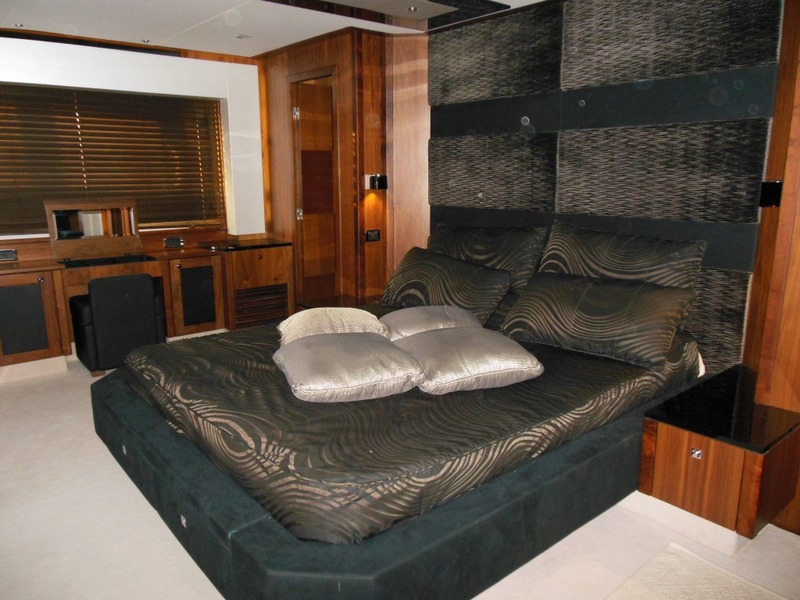 Yacht SKYFALL offers deluxe accommodation for up to 8 guests in 4 en-suite cabins below decks. 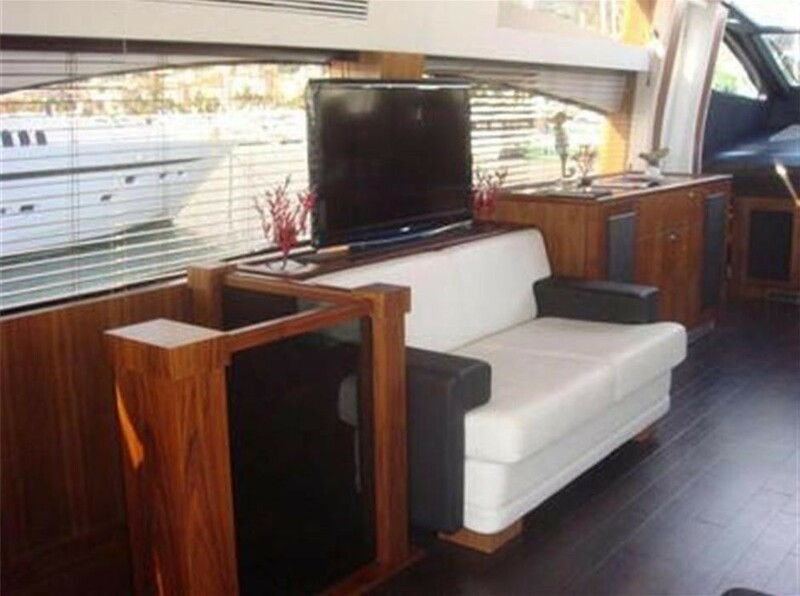 The master cabin is amidships and full beam of the yacht with a center lined double bed, leather love seat, vanity and walk in wardrobe. 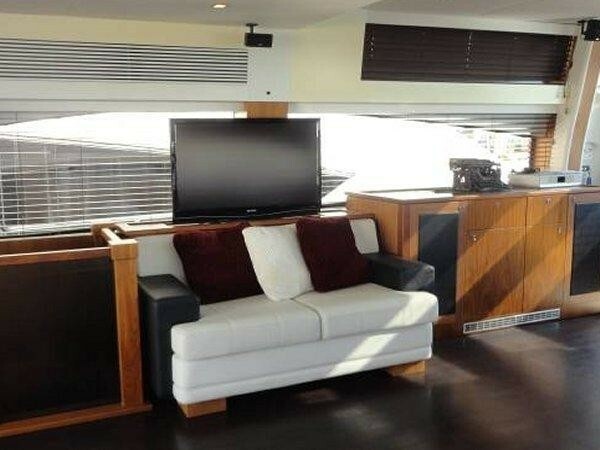 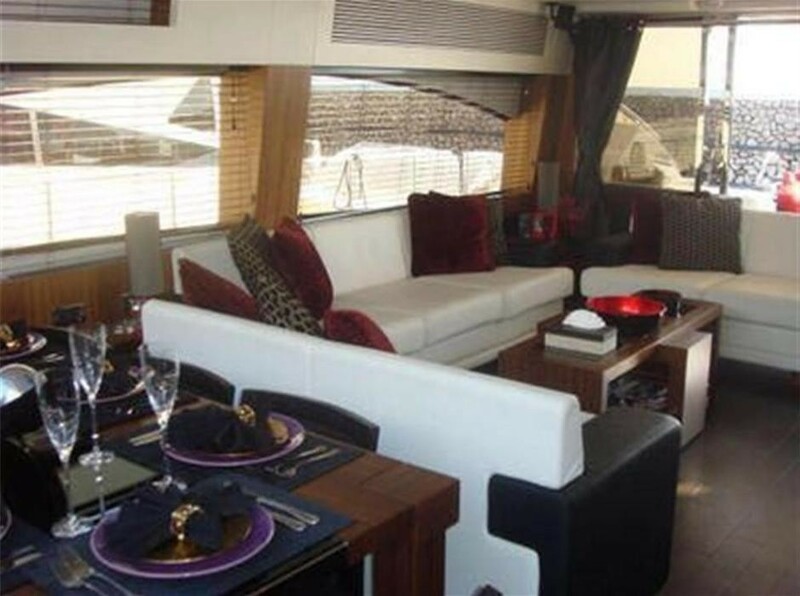 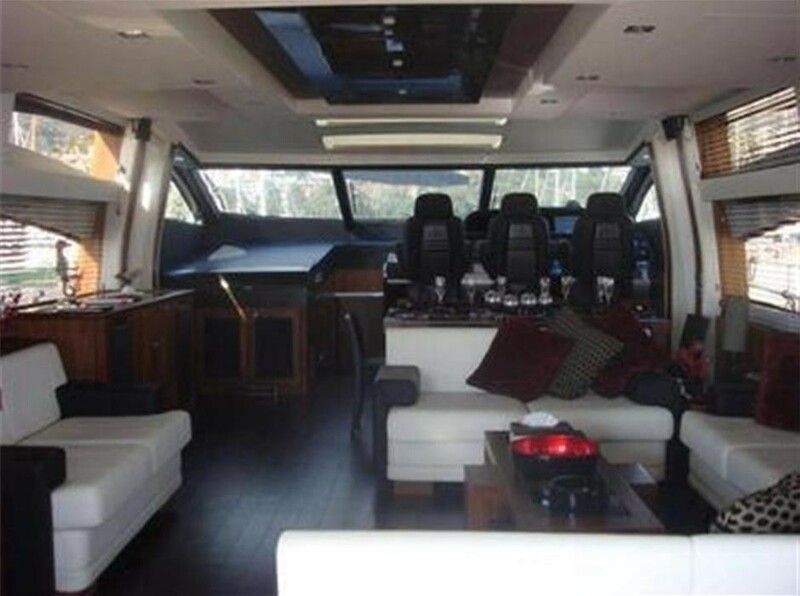 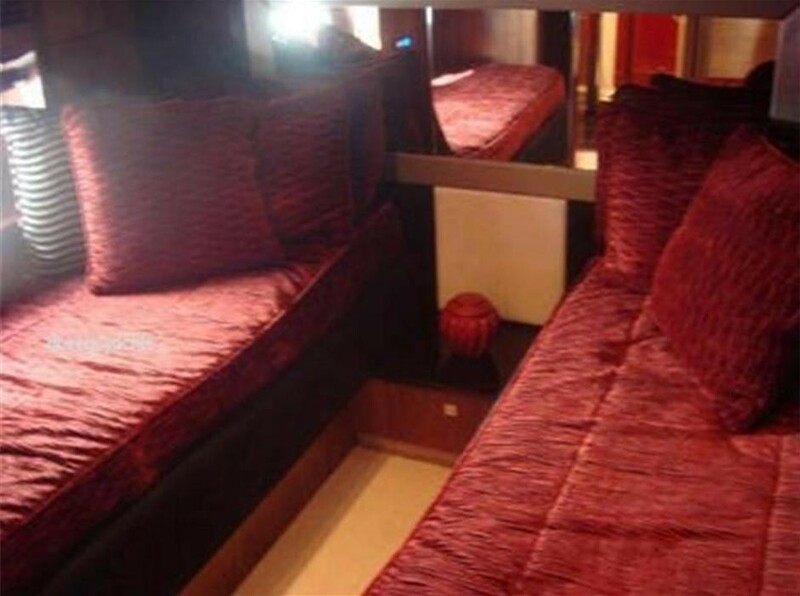 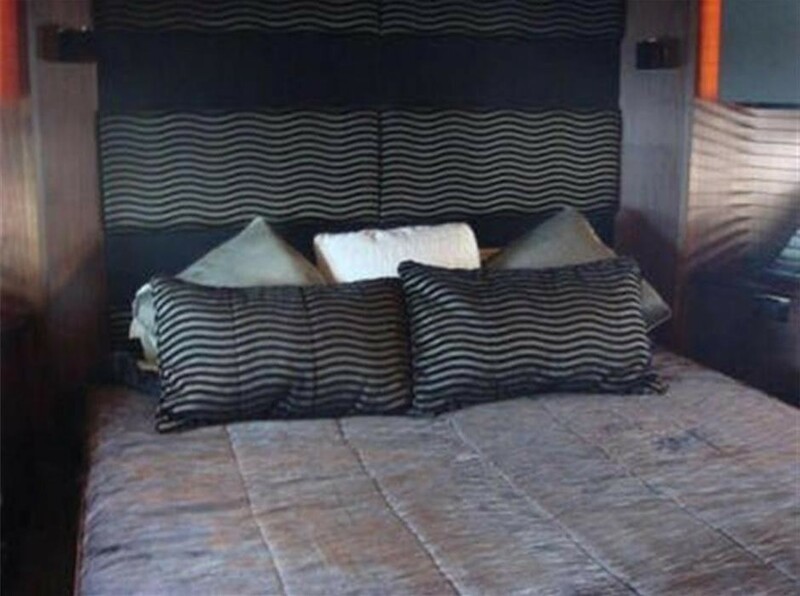 The VIP cabin is forward and full beam of the yacht with a center lined double bed and walk in wardrobe. 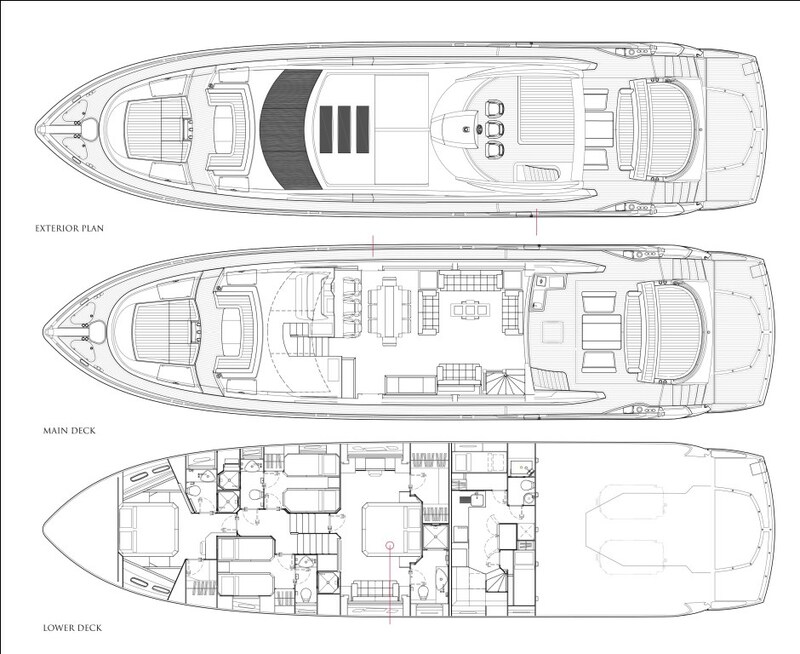 Two twin cabins are on port and starboard with 2 single side by side beds. 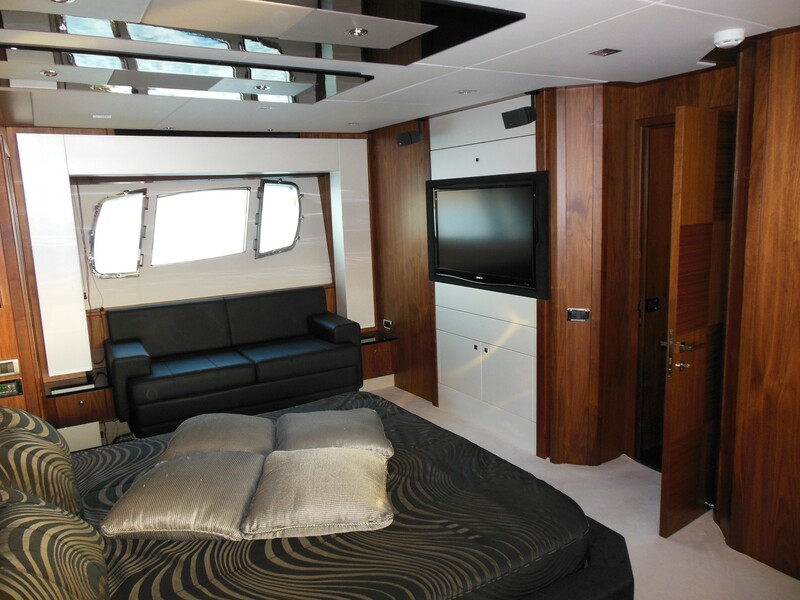 All 4 cabins have en-suite facilities and benefit from ample natural light thanks to built in port lights.